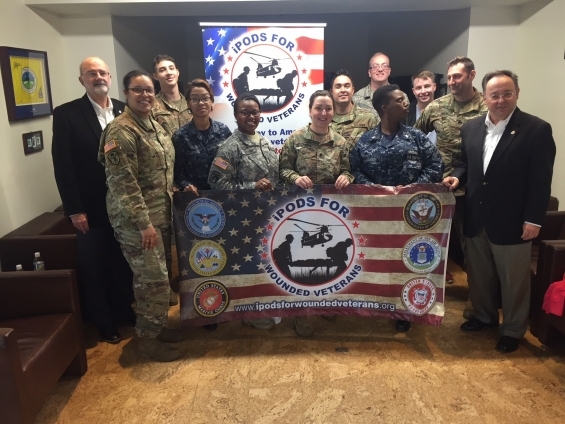 Over the weekend, IPods for Wounded Veterans (IFWV), a charity founded and overseen by retired Teamster and Vietnam veteran Paul Cardello, celebrated its 22nd visit to veterans in need. The organization provides free electronics and other goods to veterans in hospitals who are recovering from injuries they received in combat. Brotherhood of Maintenance and Way Employes Division Southern Region Vice President Roger Sanchez also accompanied the group during their visits.